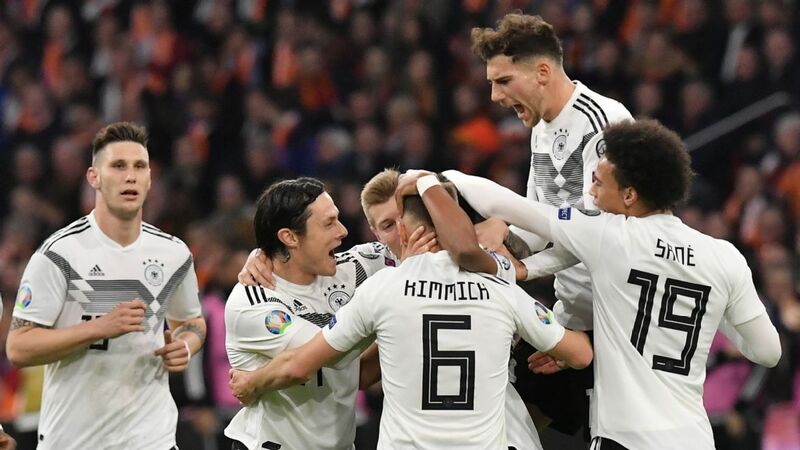 Germany won the European Under-21 Championship in Poland and the Confederations Cup in Russia within the space of 48 hours at the weekend. Glory at the latter tournament was sealed despite head coach Joachim Low's decision to rest key senior players such as Jerome Boateng, Toni Kroos, Mats Hummels, Thomas Muller, Mesut Ozil and Manuel Neuer. It was a show of force for German football, and while it opens doors for youngsters looking to break through, other more established players will now be feeling the pressure. 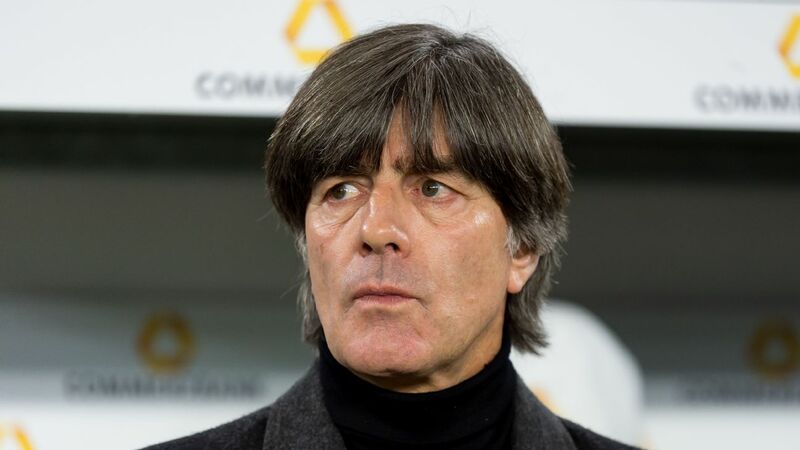 Their places in the Germany squad, or at least the starting line-up, are under threat just as attention turns to next year's defence of the World Cup. After Germany team manager Oliver Bierhoff commented on there being very few "untouchables," ESPN FC takes a look at 10 players who might be concerned about their status in the senior squad. If he remains injury free, then the 28-year-old will be guaranteed a place in Low's squad for the 2018 World Cup. But with especially Timo Werner emerging in attack, and players such as Thomas Muller, Marco Reus, Leroy Sane, Julian Draxler and Lars Stindl -- perhaps even Mario Gotze, should he return to full form -- all competing for a place behind a central attacker, Ozil could lose out on a place in the starting XI if he can't recover his form at Arsenal and his unclear contract situation drags on into the new season. There are only very few untouchables in Germany these days. And 30-year-old Khedira, who has played a prominent role for Germany since the 2010 World Cup in South Africa, is not one of them. Leon Goretzka might be his big problem. Playing a similar position, the Schalke youngster could be an important factor if Low opts to play a box-to-box player next to Germany's most important midfielder, Toni Kroos. There are other options for a place in the starting formation too. Sebastian Rudy, Ilkay Gundogan and Borussia Dortmund's Julian Weigl, who missed the Confederations Cup with an ankle injury, come to mind. Khedira will still make the squad, but he's no longer a guaranteed starter. The "space investigator" showed signs of fatigue in the 2016-17 season, with his goal tally dropping to just eight in 41 appearances in all competitions. Just like Ozil, the 27-year-old faces competition from up-and-coming players like Julian Brandt and Werner as well as from already established players like Draxler and Sane. The current formation allows for two players behind one central attacker but, as things stand, it looks unlikely that both Ozil and Muller will start for Germany. Mesut Ozil (left) and Thomas Muller (right) were both key to Germany's 2014 World Cup triumph. The 28-year-old missed both the 2014 World Cup and the 2016 European Championship with injuries and has only once featured for Germany at a tournament: Euro 2012. In May, Reus suffered a cruciate ligament injury in the DFB-Pokal final, and is not expected back before 2018. His consistent injury problems and the rise of Draxler, Sane and others might put an end to the winger's hopes of finally playing at a World Cup for Germany. He could become the nation's great lost player. Very much like his former BVB teammate Reus, Gundogan's injury problems have stopped him from regularly showcasing his talents on the big stage. In 2014, he was sidelined with back problems and two years later a knee injury ended his hopes of making his first Germany appearance at a tournament. 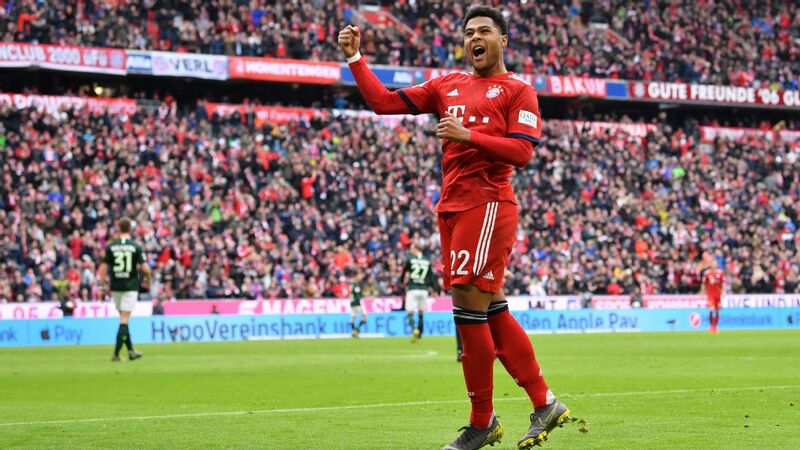 Under normal circumstances, the 26-year-old would have more than 20 caps to his name, but currently working on yet another comeback following his cruciate ligament tear last year, his place in the World Cup squad could be under threat with competition coming from Goretzka and new Bayern Munich midfielder Rudy, who put in an impressive showing at the Confederations Cup. Being Gotze has not been easy ever since he scored the World Cup-winning goal in the final against Argentina almost three years ago. He struggled at Bayern Munich, became a fringe player for Germany at Euro 2016 and when everyone hoped he'd recapture his old form after re-signing for Borussia Dortmund, his struggles got even worse. Following only 11 league appearances, he was diagnosed with "metabolic disturbances" in February and has yet to return to training. Although there are promising signs that he will soon recover, it's unclear whether he can push for a place in the squad. And while Low has said that he will not "drop him like that," the 25-year-old needs to focus on his health before thinking about a Germany return. Germany won the Confederations Cup despite not having a single player over 30 in their squad. At club level, Schurrle has been switching clubs in recent years. The 26-year-old winger returned to the Bundesliga from Chelsea with Wolfsburg in early 2015, and 18 months later made the move to Dortmund and his old Mainz mentor, Thomas Tuchel. But following a good start, including a late equaliser in a Champions League group stage meeting with eventual winners Real Madrid, Schurrle struggled with injuries, and his numbers stalled at only five goals in 24 competitive appearances for BVB. Although he twice found the net for Germany in his last match in Azerbaijan in late March, only time can tell if he upsets the odds, becomes a mainstay at Dortmund again and beats younger competitors like Werner or Sane to a place in the team. The Schalke captain started and finished all seven matches during Germany's run to the 2014 World Cup title. In the absence of any real left-back, Low deployed the versatile defender in the position. Two years on, Howedes played at right-back at the Euros in France, but with Joshua Kimmich already making his first steps in the national team, he only came off the bench twice. Going into a World Cup season, Howedes will be without European football at Schalke and could also suffer from Low's change of system. There are better options at centre-back where Antonio Rudiger, Niklas Sule, as well as established stars like Jerome Boateng and Mats Hummel, are ahead of him currently. With full-backs turned into wing-backs, Howedes lacks the power going forward and faces strong competition from Kimmich, Cologne's Jonas Hector, Leverkusen's Benjamin Henrichs and U21 hero Mitchell Weiser. While still young, at 23, Can's place is under threat despite being part of the Confederations Cup squad. He is certainly versatile and has shown for club and country that he can play at right-back or as a wing-back as well as in holding midfield, but Khedira, Kroos, maybe even Gundogan and Weigl, will return. Versatile Kimmich with his ability to press forward on the wing, looks the preferred option at wing-back and, outside the established players, Leverkusen's Brandt is a better option in the more attacking role. Gomez, 31, did not play in Russia, though not because he disappointed at Wolfsburg where his goals kept his club in Bundesliga. 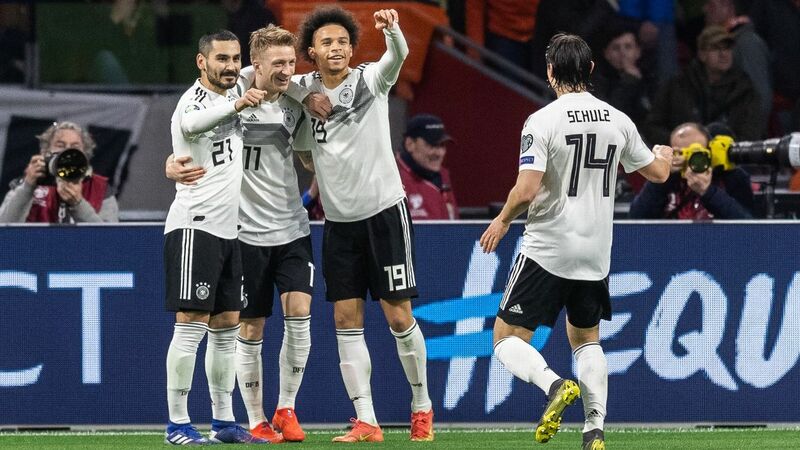 He has shown he can consistently score for Germany and only returned to the national team in 2016 after missing out on the World Cup in Brazil, but Gomez could fall behind Werner and even Stindl while the rebuilding process at his club continues.